What if you found yourself tucked away in a place where you didn't think Santa Claus would ever find you? That can be a sad thought. Some people grow up in homes with three fireplaces above ground and know definitely Santa will come. Bob the Bullfrog and his family are not quite as lucky. 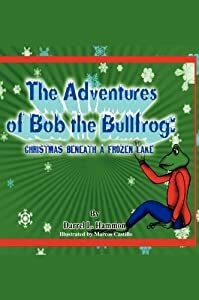 One cold, Christmas season, his family is stuck at the bottom of a frozen lake and doesn't know how Santa will find his way through the thick ice and snow to get there. Christmas Beneath a Frozen Lake is a story about how Santa never forgets "his children," no matter where they might be on Christmas Eve, even if it is at the bottom of a frozen lake. On Christmas Eve, Bob experiences a true Christmas miracle, one that he cannot share with anyone except his mother. Will Polvoroso survive his daring rescue from this strange island? The story of Polvoroso, a coqui frog from the rain forest of Puerto Rico. He must endure the dangers ever present in his daily life and conquer his fears as he embarks on a perilous journey to rescue his friends, who have been transported to a strange island, four thousand miles away. This is a story of courage, loyalty and perseverance. 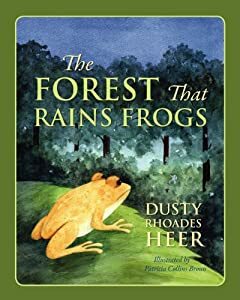 The story of Polvoroso, a coqui frog from the rain forest of Puerto Rico. He must endure the dangers ever present in his daily life and conquer his fears as he embarks on a perilous journey to rescue his friends, who have been transported to a strange island, four thousand miles away. This is a story of courage, loyalty and perseverance. We can be different and still be friends! 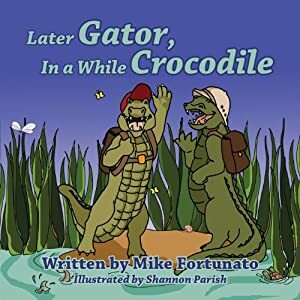 In this 3-story collection, see how Crocodile and Gator meet and become friends in the swamp. They swim around and realize how similar they really are even though they are very different. They go on great adventures, meet new friends and see the silly things that can happen close to home. See how much fun they have in the swamp as their friendship grows! Later Gator, In a while Crocodile! Alexis discovers one of nature’s miracles! Six-year-old Alexis and her parents have just moved from an apartment in the city to a home in the suburbs. While lying in the grass in her new backyard, Alexis is startled by a tiny flash of color darting by, heading for her neighbor’s yard. Peeking through a hole in the fence, she sees a wondrous sight. Her new neighbor’s backyard is filled with hundreds of beautiful flowers, and there are colorful glass balls hanging from some of the trees. But the most magical sight of all are the tiny, jewel-like birds flashing by, hovering in midair, and even flying backward! 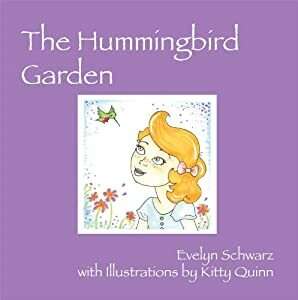 This delightfully illustrated book will bring the world of hummingbirds to life as Alexis learns a valuable lesson about what sharing can accomplish. On a snowy Christmas Eve a fierce cat named Kitty Claus rules over a family of starving mice. 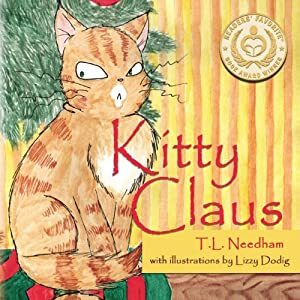 Until a frightful crisis for the ferocious Kitty Claus is resolved when the father mouse rescues him from danger and transforms their adversity into a new bond of mutual friendship. This is a little story-poem of transformation, courage, and righteous behavior that generates the most positive outcome. Originally published in the award-winning book -PESKY POEMS- a collection by T. L. Needham.